Are you still not sure about Nose Secret as a way to get a easy, non-surgical nose-job? Take a look at all of the issues that Nose Secret has fixed for different people. If one of these situations sounds like yours, Nose Secret could definitely be for you. If your nose is skewed to one side or the other, Nose Secret can make it look cute and straight. Over time, you can see improvement even when the NoseSecret splints may not be in place. If your nose seems overly large and bulbous, Nose Secret can make it appear slimmer, straighter and narrower – without plastic surgery! This is often especially welcome news for young women who have inherited a “man” nose as part of their genetic makeup, and constantly get teased about it. If you have a flat and/or downward drooping nose this is the product for you! 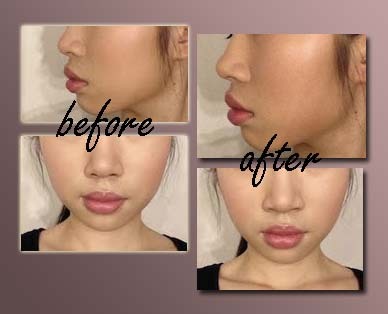 If your nose hangs too far over your upper lip, Nose Secret can help point the tip up. The result? a cute, upturned nose that machetes your upturned mouth! Many men and women are unhappy with a “beak” nose that features a hump or hook in the middle. Nose Secret gently and safely straightens such noses, making the hump or hook nearly disappear even with just a small size. Many people are dissatisfied with their nose being too small or flat, and consider plastic surgery to correct it. Nose Secret makes surgery unnecessary! A nose that is broad and has wide nostrils can also make people feel self conscious. Nose Secret can reduce the flare of nostrils and make your nose seem narrower. Some people even have rhinoplasty, and the results are less than satisfactory. Nose Secret can help make your nose look more even and straight, visibly affecting your overall aesthetic and reducing the need for any further surgery. If any of these situations sound like you, Nose Secret might be the perfect solution for a surgery free nose job that is inexpensive and works better and better over time!